I came across this interesting video last week on BME Modblog. If you are unaware, the Nintendo 3DS now offers augmented reality video games. One gamer was so excited by this new technology, he got the AR card tattooed on his forearm to allow himself to become part of the game experience itself. This exemplifies what Nathan and others have discussed on this blog many times. That is, the merging of the digital and the material and the creation of an augmented reality. So is the man in this video truly a “cyborg?” I believe so. In fact, we all are to a certain extent. Heck, you are reading this blog right now, engaging in a dialogue with me from far away through the help of internet technology. In this sense, the Nintendo DS AR card tattoo serves as an exemplary case of modification and the new cyborg body that I have spoken about before in this blog. Cyborgs are the indigenous subjects that inhabit augmented reality. They are physical bodies enmeshed in the techno-social formations that characterize a particular historical moment. In conventional sociological terms, cyborgs are the micro/agentic object of inquiry when augmented reality is the macro/structural unit of analysis. In my opinion, extreme body modifiers are the vanguard of the new cyborg body. Individuals who insert magnets into their fingers, place implants in their foreheards, stretch their earlobes, split their tongues, and tattoo simulated images on their bodies are all exemplary cases of the Haraway’s cyborg. They take the academic metaphor to the next level. But like I have stated before, these instances of body modification are nothing new; affluent white westerners are not the first to modify their bodies in extreme ways. What is new is the use of sophisticated technology to extend and enlist the corporeal in creative ways. 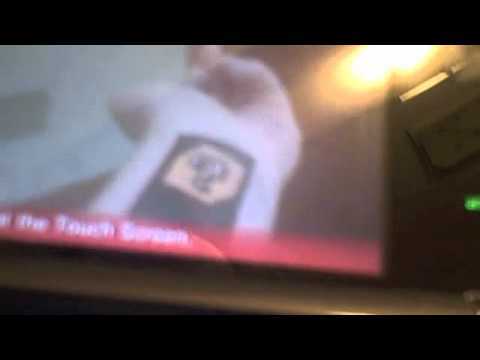 This Nintendo DS AR card tattoo is but one example. Perhaps in the future we will see other individuals merging body modification with other unique passions like gaming. Onward and into the future, Godspeed. In both this and your previous post, you mentioned magnetic implants, which are actually responsible for my interest in transhumanism, cyborgs, and, now, this fun school of thought we’re calling Cyborgology. In both the case of the magnetic implants and of this tattoo, we’re not simply dealing with examples of existing technology augmenting our reality, we’re dealing with human beings, who take it a step further by augmenting the technology back in one way or another. I think the whole body modification area is so interesting because–instead of dealing with what I would consider “passive” cyborgs, aka those of us who use technology for more or less its intended purpose—we’re dealing with much more “active” cyborgs. While the magnets may not be as visually compelling as the tattoo example, both cases are dealing with people who have taken existing technology and added a human element with a somewhat unpredictable result. It’s similar to the point that I was trying (and most likely failed) to point out in my public/private installation at the conference: machines are designed for a functional use, but even a perfect algorithm cannot (currently) account for the randomness that humans add to the equation. This new post highlights what I feel is a perfect, if dramatic, example of humans unpredictably interacting with technology. The magnetic implants are amazing because they impart the user with a sixth sense; the ability to feel electromagnetic fields. However, that is a largely one-way example in which the technology alters human perception; the humans aren't changing the magnets much, just using them for a new, unintended purpose. In the Nintendo 3DS case, the user is not only utilizing a tool that was meant to enhance the gameplay experience, he "changed the game" as it were so it interacts directly with his body instead of the AR card. I feel like there’s so much to talk about and eventually observe here: for example, could Nintendo 3DS technology be combined with the image recognition software highlighted in this post http://thesocietypages.org/cyborgology/2011/04/23/towards-a-talking-newspaper/ to open up an entire new world of augmented tattoos and experience? Will this new combination of technology and body modification remain an anomaly within a subculture or will its potential ability to carry information throughout our modern Western society make it a mainstream phenomenon? What does the tattoo mean when the technology becomes obsolete? How will society view those people who went far enough to alter their bodies for an imperfect, obsolete technology? And perhaps what I'm most fascinated with, what information will people choose to share through their body art? So, as you can tell, I got really excited by this post. I think this single act contains a huge amount of potential here for the worlds of body modification and augmented reality. I also think there’s more to talk about, and a lot more to watch for. Great Ned! I like your distinction between "passive cyborgs" and "active cyborgs." I will totally reference you next time I use it (which I plan on doing). So, from this definition, can't we consider anything cosmetic as augmenting our reality? Make-up? Clothes? I've always associated cybernetics as encompassing the digital world solely but after further research, I see we can apply it to systems in general, digital or not. Please keep posting more of these discussions, they interest me greatly! Ned, I love the idea of "active" and "passive" cyborgs. I would only add to it that we should be careful not to dichitomize (not that I think you were). I would venture to say that active and passive use of technology probably ranges on a continuum, and individuals cyborgs are more or less active/passive in different moments. Jenny, I completely agree with you. That's a really good point to bring up.